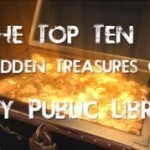 Want to find out more about these hidden treasures? Visit the links below or ask a staff member the next time you stop by Ilsley! Tech help desk – help using your technology or ours!